furocious studios™ » Large Print & Hardcover almost ready! Home » Publishing » Large Print & Hardcover almost ready! Large Print & Hardcover almost ready! Recently we received the proof for the hardcover edition of John Wesley’s the BCP. What editions of this book will be made available? John Wesley’s The Book of Common Prayer – HC – ISBN:978-1-329-99526-0 Initially there will be the hardcover edition available, which is intended to be used as a sturdy (6″x9″) textbook. John Wesley’s The Book of Common Prayer – LG – ISBN: 978-1-329-95514-1 There will also be a large-print paperback which features a size 12 font on a larger page (6.14 x 9.21). Both of these we hope to have available by the end of April 2016. These books will then be immediately available on lulu.com and then over time will be distributed through the regular channels. If all goes well perhaps a christian publisher will take over production. 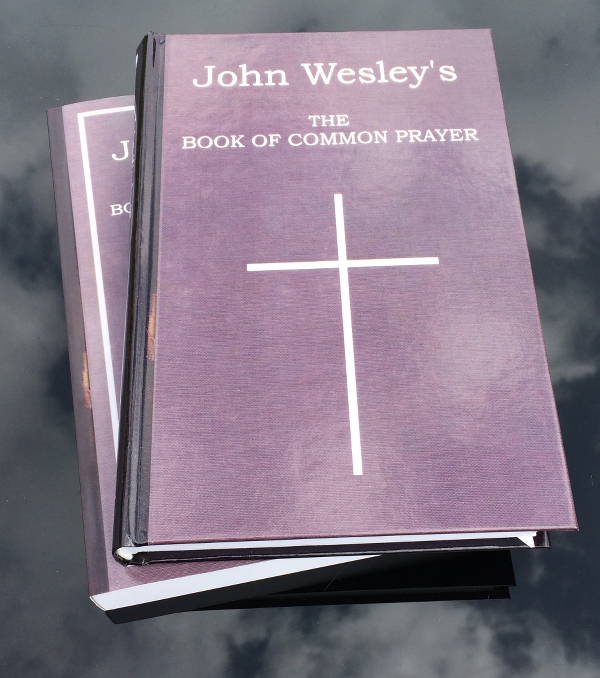 John Wesley’s The Book of Common Prayer – Limited Edition After the first run of books we hope to release a (highly anticipated) limited leather bound edition for us, Wesley aficionados, who desire an actual prayer-book for their library. These we are hoping for by this Fall 2016. The reason this edition will come later is that it requires an upfront investment in order to be produced. Those sales will be run from this website so that we can quality inspect each volume. Also later this year we plan on releasing the book as an eBook on Amazon Kindle, then hopefully everyone else over time. The eBook has always been the ultimate goal of this project making the book fully indexed and searchable for those doing research. The other advantages of this are on-screen comparisons and further integration into Bible Software.